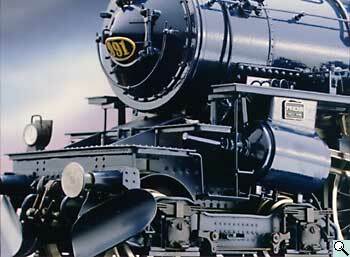 Bockholt's locomotives are something special. Even if you aren't aware, that our BR 45 is made of more than 2,000 special parts, you will be convinced of the quality and workmanship by looking at the final result of our work. There is no doubt that the workmanship and detail are of the highest grade. Uncompromising. 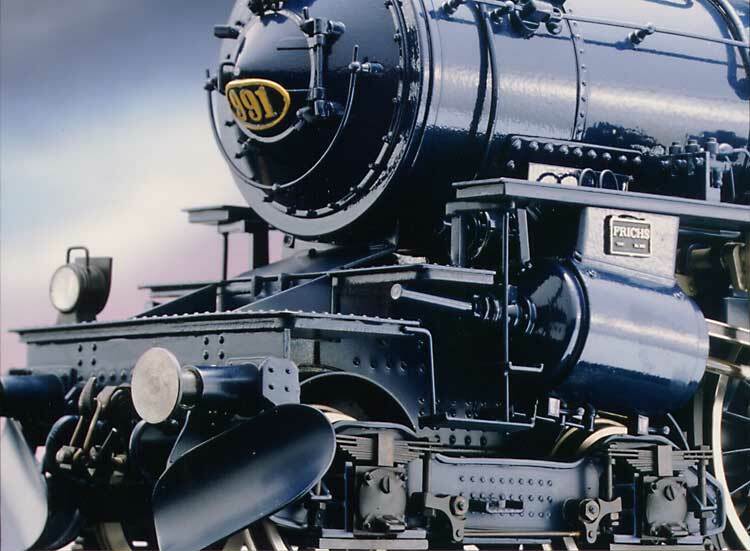 You'll enjoy your Bockholt's locomotive for many decades. We make our models nearly completely of steel, that we solder at 750 °C using silver solder. That is why Bockholt's locomotives are absolutely robust. Und Ihre Bockholt-Lokomotive bleibt auch etwas ganz Besonderes. Darauf können Sie sich verlassen. And your Bockholt's locomotive will remain something very special. You can trust in this. We build every series only once, and every series contains only a few pieces. You'll get a certificate with the number of your locomotive. So you can be sure that your Bockholt's locomotive will keep its value for many many years and some day it will become a rarity. But not only older models can reach hight prices: in the auction at Christie's South Kensington, on April 13th, 2000 the Nord 231 C reached £9,400 and the blue colored streamlined Nord 231 C reached £8,812. Both we made in 1993. The highes increase in value had the BR 86, we made in 1973, with a price of £4,935. 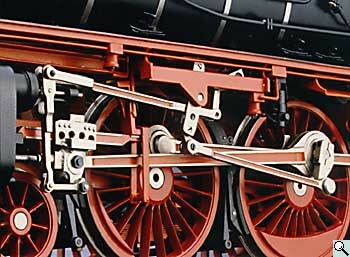 Even a uncomplete Bockholt locomotive has its value: the chassis of our SNCF 241 A reached £7,637. Of cause one of our complete SNCF 241 A reached a higher price with £11,750. And it's able to run. Without any problem. 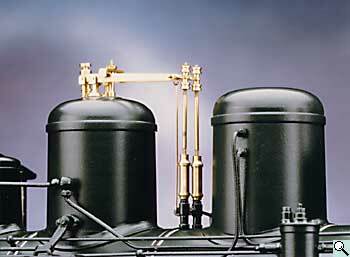 Because we have fitted your Bockholt's locomotive with a powerful 12 V motor. The gear consists of a worm gear and bevel system spur gears. Because of the bevel system there is no gear noise. And because the spur gears are made of steel and bronze your Bockholt's locomotive will run for a long time. And you can drive your Bockholt's locomotive using your favorite digital system. Beginning in 1999, every Bockholt's locomotive has an interface for all usual digital systems. And there is light. If you like. Bockholt's locomotives are illuminated by 1.5 V bulbs. Depending on the model, there are a number of additional extras. 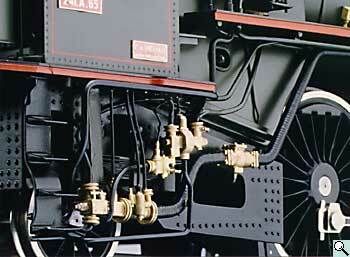 Your Bockholt's locomotive is supplied with power through its driving wheels. Invisibly. Over its ring insulated driving wheels with tires made of stainless steel. Just become fascinated. About the train made of steel.